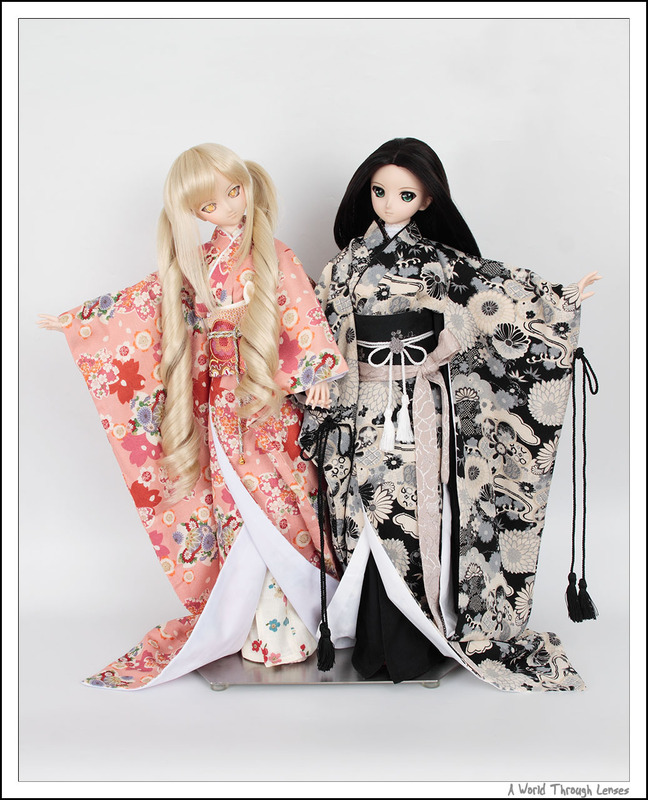 And here’s a full length shot showing you the kimonos all the way to their feet. 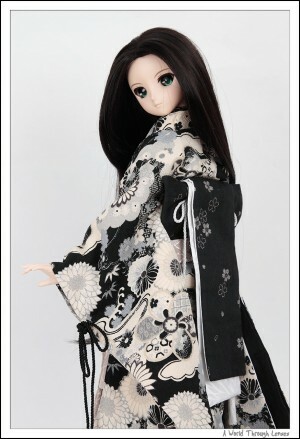 Yes they are very long and just like real kimono, you can adjust the length by folding them around the chest/waist. But I just let them flow all the way to the ground. 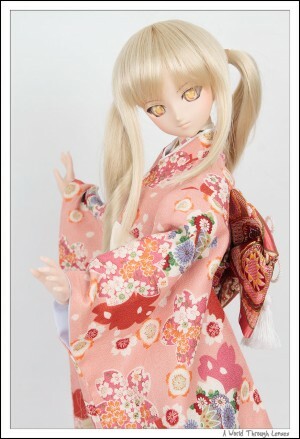 The first kimono set is the Wakasakura (若桜) as a furisode (振袖) or swinging sleeves if translated literally. This is Infinite Love’s August 2011 release. I’ve also put the Volks’ Long Ringlet Pigtail wig on Rin, together with Animetic Eye Type I in Apricot. 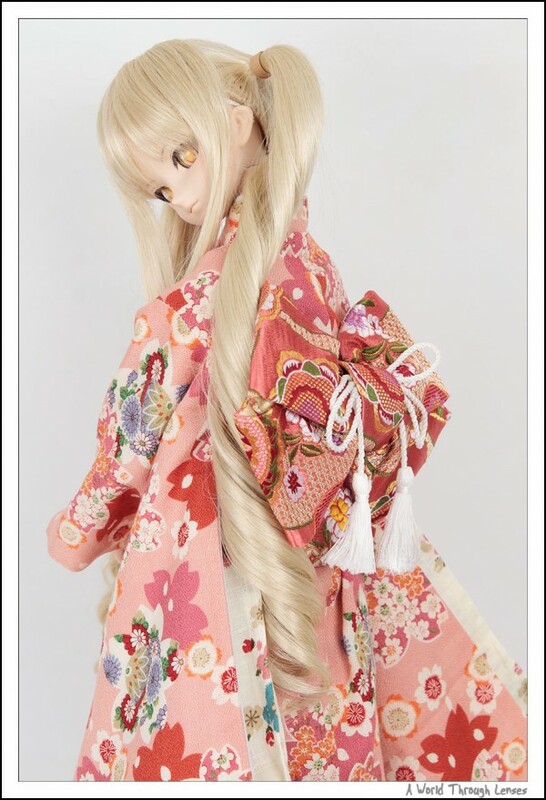 The set comes with the juban (襦袢) which is a kind of the undershirt that’s wore inside the kimono, a red belt to secure the juban, the kimono itself, the obiage (帯揚) which is a small cloth that keep the top of the obi in place, the obi (帯) which in this case is secured by hook & loop fasteners, the obijime (帯締め) which is the gold/silver rope tided around the obj, and a hair accessory which I don’t really like. I know I tied the obijime wrong, but I didn’t know how to tie one properly at the time and so I just thrown it together. Here’s a few shot of what the back looks like. The obi knot is pre-made. 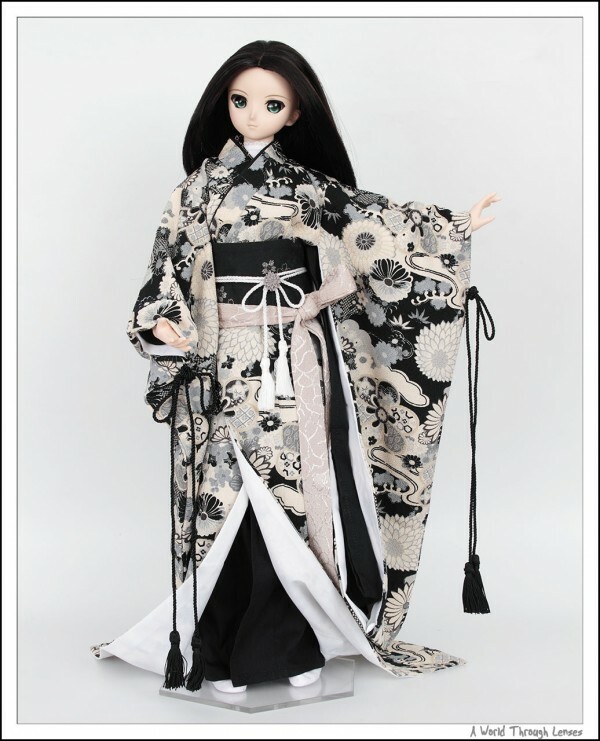 So all you have to do is wrap the obi around the doll and press the hook & loop fastener together. A few different poses. 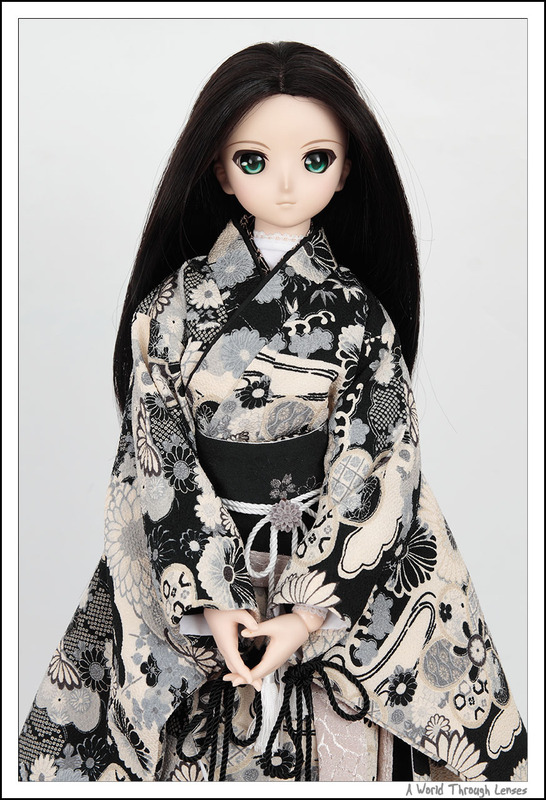 As usual with any kimono real for for dolls, once it is properly on, the body really can’t bend much. The second set of kimono I got from Infinite Love is Miya (弥雅) which is also the furisode (振袖) or swinging sleeves version. This is their September 2011 release. 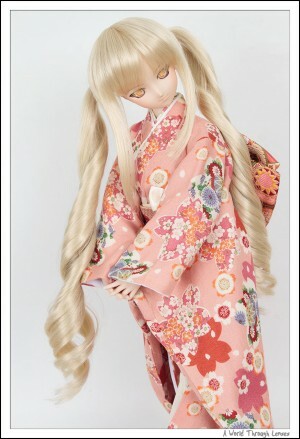 Saber with Volks’ One-Curl Super Long wig almost looked almost liked a boy. 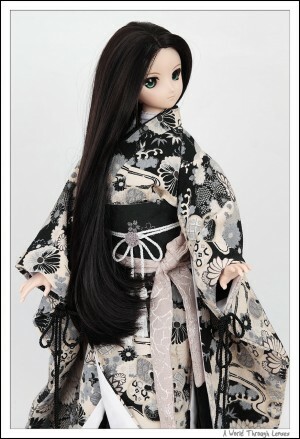 But then again this particular kimono is a little masculine in look. Comes with pretty much the same items as the Wakasakura rin’s wearing. However, instead of an hair accessory that I don’t really like anyway, it comes with a small flower accessory that you can either hang it, use it as an hair accessory, or use it as a tie for the obijime like what I did here. The obi tie is also a pre-formed tie. So you just wrap the obi around the waist and use the hook & loop fastener to secure it. 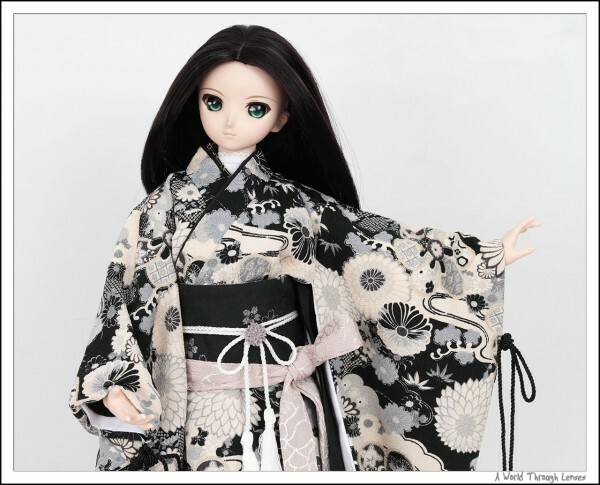 Certainly makes it easier to dress the kimono on the doll. So what’s my verdict on these Infinite Love kimonos? I think they are great! They are pretty well made and the material used are all pretty good (especially when compared with Azone’s kimono). On top of that they are really cheap. 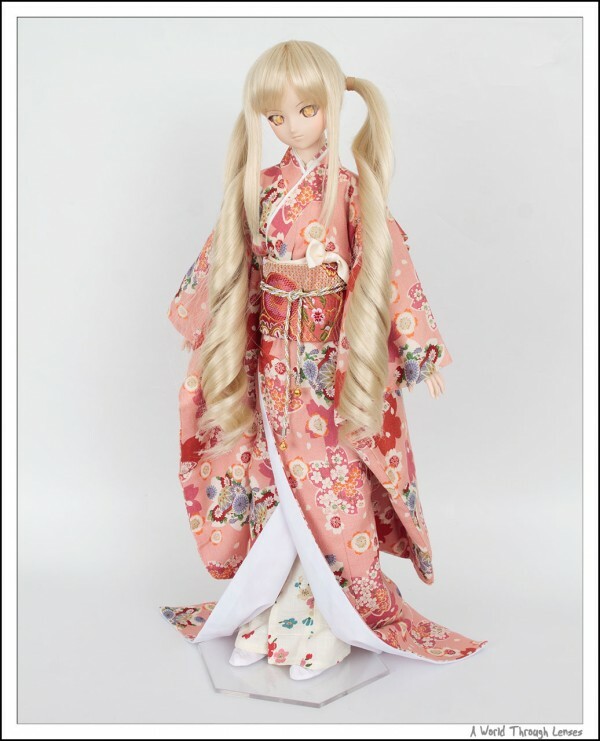 Volks’ is selling their kimonos at over $200 USD , and even that old Azone Kimono Set costs a bit over $100 USD for a single set. So at $125 USD for 2 sets, I’m more than happy with the result. One thing I think these Infinite Love kimonos can be improved upon is their obi ties. Seems a bit too flat even after I tried to fluff them out a bit. And one thing I’m not willing to risk my dolls to find out is if that black juban Saber’s wearing will stain the doll or not. So ugly may as it be, I put a white body suit on Saber so that the black juban will not touch Saber’s body. 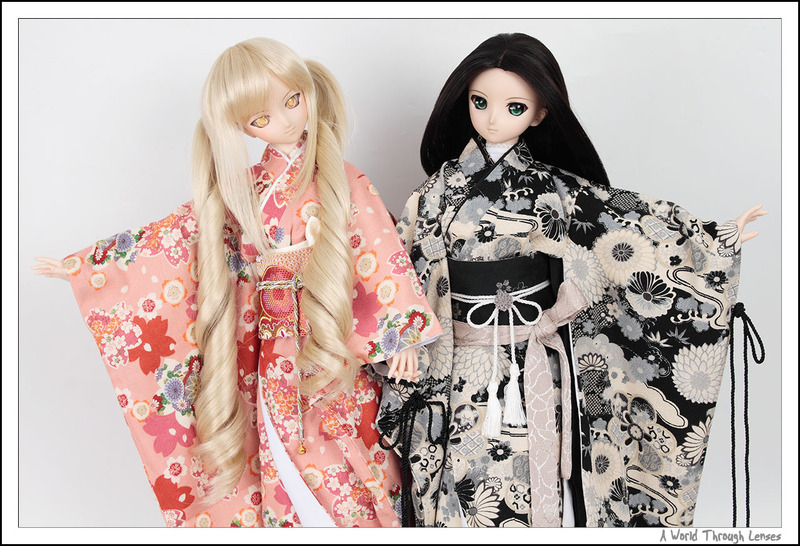 Picked up two of Volks recent kimono releases which are pretty nice, but indeed more pricey. These two look gorgeous however with a nice intricate pattern, definitely worth it considering their price. If only it wasn’t too hard to find zori and geta style shoes… everyone seems to have come up with ways to handmake them, so I’ll try my hand at that soon.